Simply a decade ago Vietnam was not the obvious option for outsourcing service provider for developing the software business of many IT companies all over the world. It was hardly the most obvious option. While Philippines, South Africa or India promptly connected with the outsourcing business process, Vietnam was working to boost the export businesses on different items particularly garments, shoes and bikes. Today Vietnam is talked about as the most acceptable destination of outsourcing for some companies across the world. As per Gartner rating scale, Vietnam was first named as one of the top thirty countries to provide great offshore service. 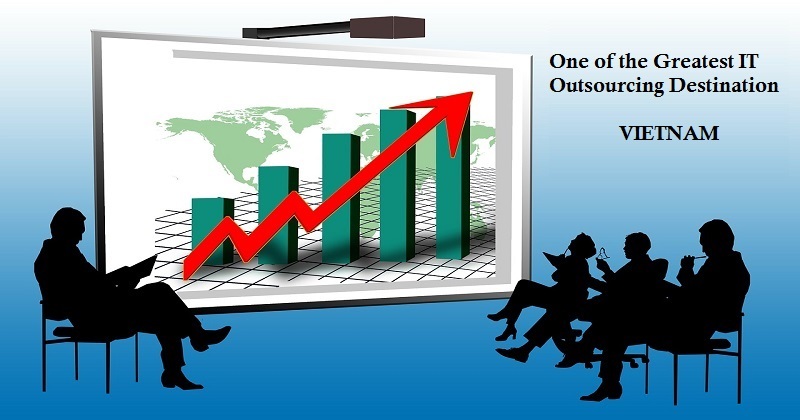 Even the latest reports have evaluated and placed Vietnam at the top tier of all IT outsource service providers. Under the making over of the country, Vietnam tech business is on the rise. The force of consumer strength is apparent in the achievement of different outsider companies working here. The level of commitment of the working force in Vietnam is getting stronger day by day. The good company culture under the influence of strong management is extremely encouraging for IT outsourcing. According to a recent survey report, the government of Vietnam has significantly succeeded in improving per capita income of the country because of the low cost, and lower market risk. More is that, a chain of educational evaluations and motivation has been applied for promoting the technological sector. In addition, Vietnam is exceedingly becoming an attractive place for IT outsourcing for the low salaried technically skilled workers. The tons of firms in IT industry all over the world came to seek the partnership of the Vietnamese Companies.